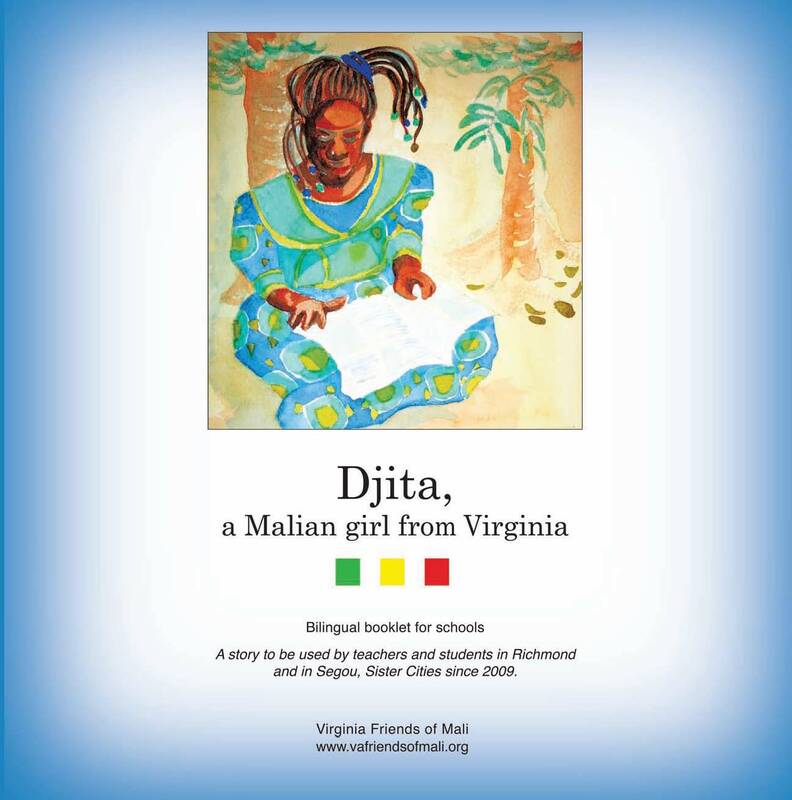 Publications | Virginia Friends of Mali Publications | Creating and promoting educational and cultural pathways to understanding and cooperation between the peoples of the African nation of Mali and the State of Virginia, USA. 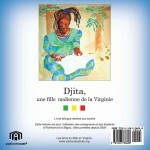 Bilingual texts and learning resources are being developed. 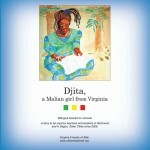 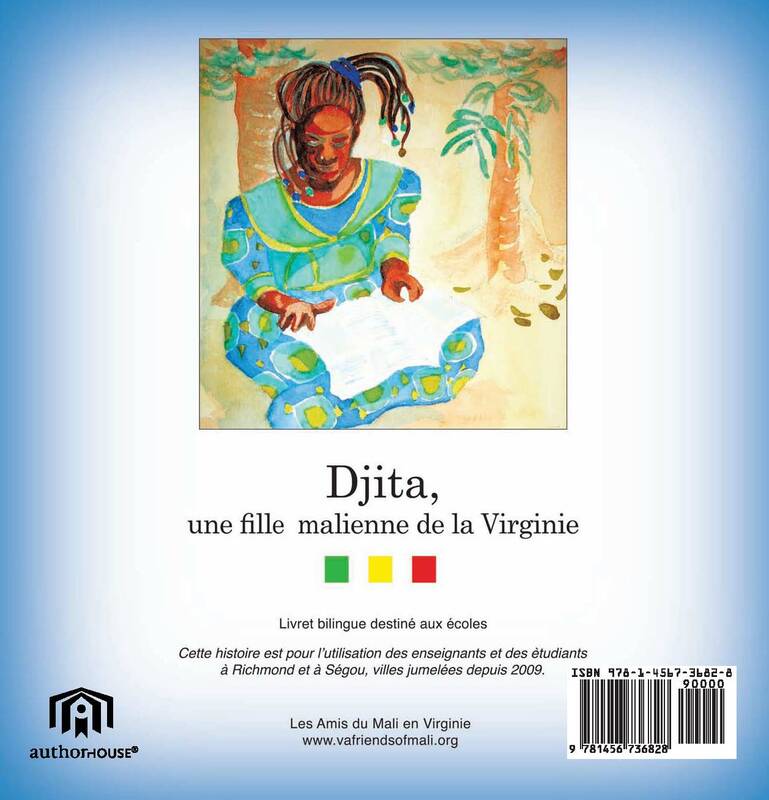 The first publication is Djita: A Malian Girl in Virginia or Djita: Une Malienne en Virginie, printed in both French and English and includes discussion points and lesson plan suggestions, helps further understanding of identity by using the idea of twinning/jumelage – one person of two places, two traditions, peoples.